Lions Junction is sparkling after its $2 million makeover thanks to a parks bond that passed in 2015. 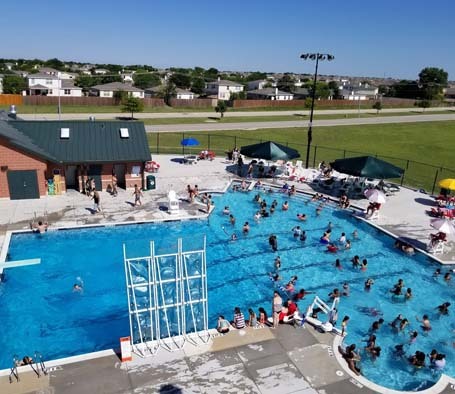 The upgrades included expanded, lighted parking, new restrooms, new -pool furniture, a 4,558 sq. ft., four lane, 25-yard pool with a diving board and climbing wall. 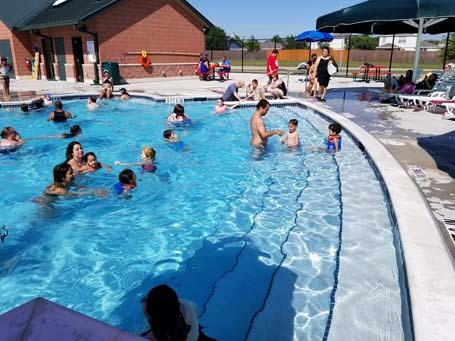 The pool will expand the footprint of the waterpark as well as provide an additional area where children and families can splash and play together, or simply relax and cool off during the hot Texas summers. Counsilman-Hunsaker designed the original 9,400 sq. ft. waterpark in 2009. The facility included a pair of three-story waterslides: one enclosed and one open flume. There is a slide plunge pool that is elevated above the main body of water and spills over with a dramatic waterfall effect. The Lion’s Junction Express play area offers all the fun of a playground with the extra splash of a spray pad and a railroad themed water feature. The beach entry pool allows visitors to walk into the water on a gradual slope, and carries the railroad theme throughout its many features. With a custom themed children’s slide built especially for toddlers, this area of the pool is ideal for parents with small children. Venturing into deeper water, the 200 ft. long lazy river carries swimmers along its winding path decorated with railroad themed spray features, and an almost silent vortex beckons guests to enter its swirling waters and enjoy its hydro effects. 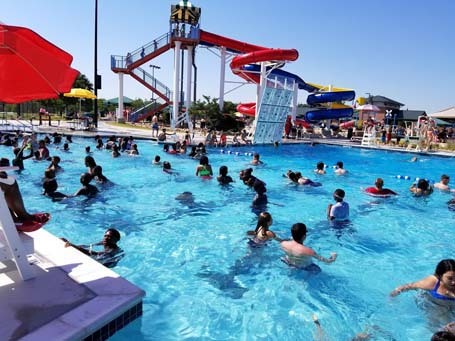 Venturing into deeper water, the 200 ft. long lazy river carries swimmers along its winding path decorated with railroad themed spray features, and an almost silent vortex beckons guests to enter its swirling waters and enjoy its hydro effects.